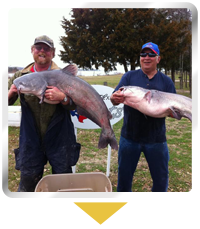 Grab your rod and reel and join Lewisville Catfish Guide Service for the premier fishing trips in Texas. We take you to lakes that are full of catfish, sand bass, and hybrid sand bass. Available trips include day, half-day, instructional, seasonal, and trophy. For whatever reason, we know that you may have to cancel your trip. Cancellations are sometimes necessary due to weather, in which case you won't have to pay. For other reasons, cancellations come with certain terms, so contact us for details. Expand your outdoor recreational options with fishing trips from our knowledgeable guides. Our fishing guides take you on trips where you will enjoy the outdoors and catch all of your favorites. 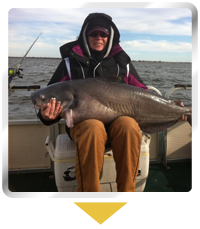 For more than five years, Lewisville Catfish Guide Service has offered guided fishing trips for many types of fish. In today's busy world, some people don't stop to enjoy a fun and relaxing excursion like fishing. We keep the fishing tradition alive through our trips. We invite you to bring your entire family so that everyone can bond and have a good time. If your kids don't know how to fish, we'll teach them. "Give a man a fish and he will eat for a day. Teach a man to fish and he will eat for a lifetime."